Art can reflect and provide a context for some of the most troubling issues affecting society today. 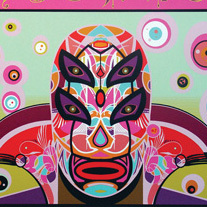 For 25 years, MACLA has been one such gallery, dedicated to showcasing the works of emerging artists in the Bay Area and serving as a cornerstone for contemporary Chicana/o art in the United States. Celebrating its 6th Chicana/o Biennial the artists of this year's exhibit will address the changing realities of contemporary American politics.The 6th Chicana/o Biennial will feature over 20 artist and reflect through various mediums. Topics will range from immigration, racial inequality, concepts of identity and more.